This is an ongoing incomplete list in development. It is ordered under company name. I will add to it as I run across such stories. If you have any to add, please send me the link. Thank you! (  is this the same one? probably due to fine amount but check anyway ) Earlier this year, the department fined Atlas Resources $85,000 for failing to control erosion and runoff at six well sites and for not properly discharging waste products, including diesel fuel and production fluids, which spilled onto the ground at seven wells. • On Feb. 3, Pennsylvania State Police arrested and jailed four drivers employed by TK Stanley, a rig moving company headquartered in Waynesboro, Miss., for driving a convoy of oversized trucks through North Towanda Township on U.S. Route 6. • On Feb. 6, state police cited three men employed by T.A.W. Inc. of Wysox for driving trucks with weight, size and permit violations. • On Feb. 7, Arthur H. Dawes of Blossburg, Pa., was arrested and jailed after his overweight and oversized truck was involved in three separate accidents as he traveled through Bradford County. Dawes and his employer, Todd Berguson Trucking, received over $15,000 in citations as a result of the incident. • On Feb. 8, James Matusek of Shavertown, Pa., and his employer, Latona Trucking, were fined over $31,300 after state police discovered a truck driven by Matusek to be 49.7 tons overweight. • On Feb. 23, Arron Waddy, a driver for MARMC Transportation of Caspar, Wyo., was cited with $24,089 in fines after state police stopped his vehicle on U.S. Route 220 in Albany Township and discovered it was 71,707 pounds overweight. # On Feb. 2, DEP fined Talisman Energy $3,500 for violations at its “Cease” well pad in Troy Township discovered during inspections in 2009. The Susquehanna River Basin Commission (SRBC) will receive $170,000 in fines from three gas companies for not complying with Pennsylvania state regulations on water withdrawals used for gas drilling, as reported in the Lock Haven Express. Novus Operating LLC began drilling two wells in Tioga County without receiving the proper water withdrawal permits from the SRBC and was ordered to cease construction and penalized $100,000. Southwestern Energy began construction on a single well in Bradford County without acquiring permits. The company agreed to remove pipe it had installed in the ground and to pay $50,000. Chesapeake Energy Corp. made a $20,000 payment after it discovered a contract water hauler had removed 10 percent more water than the company was permitted to take for gas drilling operations. Chesapeake reported the violation to the SRBC. In February 2009 Cabot spilled 100 gallons of diesel fuel at Dimock, PA (WGNB News, “100 Gallons of Diesel Fuel Spilled” [2/6/09]). In May 2009, the Pennsylvania DEP ordered Range Resources and Chief Oil & Gas to suspend operations at two sites in Lycoming County for violating PA’s Clean Stream Law. The companies were withdrawing water from Hoagland Run and First Fork Larry’s Creek without having obtained the required permits (PA DEP “DEP Orders Partial Shutdown” [5/30/09]). In June 2009 a leaking waste water pipe from a Range Resources gas well polluted a tributary of Cross Creek Lake in Washington Country, PA. The spill killed fish, salamanders, crayfish, and aquatic insects (Pittsburgh Post Gazette “Waste from Marcellus” [6/05/09]). On September 16, 2009 Cabot Oil & Gas spilled up to 8,400 gallons of fracking lubricant into Stevens Creek and a nearby wetland near Dimock, PA. Cabot representatives were unable to identify the chemical composition of the liquid. This is Cabot’s third chemical spill in the Dimock area since the spring of 2008. (Ithaca Journal “State Probes Spill” [9/17/09]). On January 20, 2010 the Pennsylvania DEP fined M.R. Dirt $6000 for spilling 7 tons of “gaswell drilling wastewater sludge” in Avis, PA. The dump truck driver drove away even though he saw the spill (DEP “DEP Fines M.R. Dirt” [1/20/10]). On February 1, 2010 the Pennsylvania DEP fined Fortuna Energy $3500 for various infractions at a Bradford County site, including the discharge of fracking fluid into a tributary of Sugar Creek (DEP, “DEP Fines Fortuna” [2/1/10]). On March 20th, 2010, a truck hauling water for a hydro-fracturing operation slammed into the back of a car near Mansfield, killing Mildred Barnhard, a 74-year-old Lock Haven woman (LH Express, “LH Woman” [3/22/10]). On March 26th, 2010, Andarko Petroleum spilled 8,000 to 12,000 gallons of synthetic-based mud at a drilling site in Clinton County (citizensvoice.com, “Spill in State Forest” [3/30/10]). Pennsylvania: In 2009, the Zimmerman family of Washington County reported contamination of drinking water after hydraulic fracturing of nearby natural gas wells owned by Atlas Energy. Water testing on their farm found arsenic at 2,600 times acceptable levels, benzene at 44 times above limits, naphthalene at five times the federal standard, and mercury and selenium levels above official limits. Pennsylvania: In 2008, two families in Gibbs Hill reported contamination of drinking water after hydraulic fracturing of a nearby natural gas well owned by Seneca Resources Corporation. Their water had strong fumes, caused burning in lungs and sinuses after showering, and caused burning in the mouth immediately upon drinking. 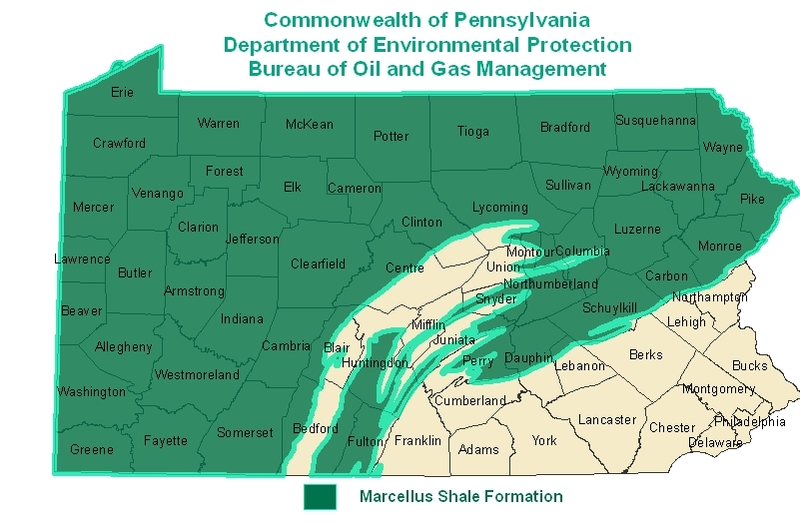 Pennsylvania: In 2009, families in Bradford Township reported contamination of drinking water after hydraulic fracturing of nearby natural gas wells owned by Schreiner Oil & Gas. The drinking water of at least seven families has been contaminated. Pennyslvania: In 2009, the Smitsky family in Hickory reported contamination of their drinking water after hydraulic fracturing of nearby natural gas wells owned by Range Resources. Their water became cloudy and foul-smelling. Testing found acrylonitrile, a chemical that may be used in hydraulic fracturing. The EPA is now investigating this incident. thank you Gale. I wish I had had the time to update this all along. Sad to see another innocent unsuspecting citizen whacked like a fly. Heretofore, it has been a joke. However it was good to see a fairly significant fine recently levied at Chesapeake. Although, it was for three violations. Will the more punitive amounts continue? I hope so, but I doubt it. I hope I am proven wrong… Thanks for stopping by. I see negatives but no positives,sad. TROUBLE IS THE EASIEST THING TO FIND. How about also reporting on the good things the gas industry has done for all of these areas? these water trucks can not be 41 tons over weight who ever is writing this crap should do some investigating befor printing lies. 82000 pounds overwieght is not possible. you are nuts now how about the things the gas companies are doing for our cummunities. like better roads, better schools, and all the jobs, and all the money being paid to the state that the state isnt using right.they pa doesnt have any money yet they get millions and millions from the gas companies. Wow, this list is overwhelming. Thank you for sharing. I almost never leave a response, however i did some searching and wound up here Violations and Accidents in PA | Frack Mountain. And I actually do have 2 questions for you if it’s allright. Could it be just me or does it appear like some of the remarks come across as if they are written by brain dead people? 😛 And, if you are writing at additional social sites, I would like to follow anything fresh you have to post. Would you make a list of every one of your community pages like your linkedin profile, Facebook page or twitter feed?